1922 Regent Street in Madison is a beautifully cared for three story Prairie/Craftsman brick home with charm, character & great updates. Lots of square footage & the layout flows. Four bedrooms on the 2nd floor and three additional bedrooms on the third floor provide great office space/guest bedrooms. Main floor living room with wood burning fireplace & classic built in bookshelves, natural woodwork & sun room, new appliances in kitchen, lower level family room, workshop. Easy turn around in driveway & 2 car garage with extra storage. Extra large/deep lot. For current price and more photos of 1922 Regent Street. 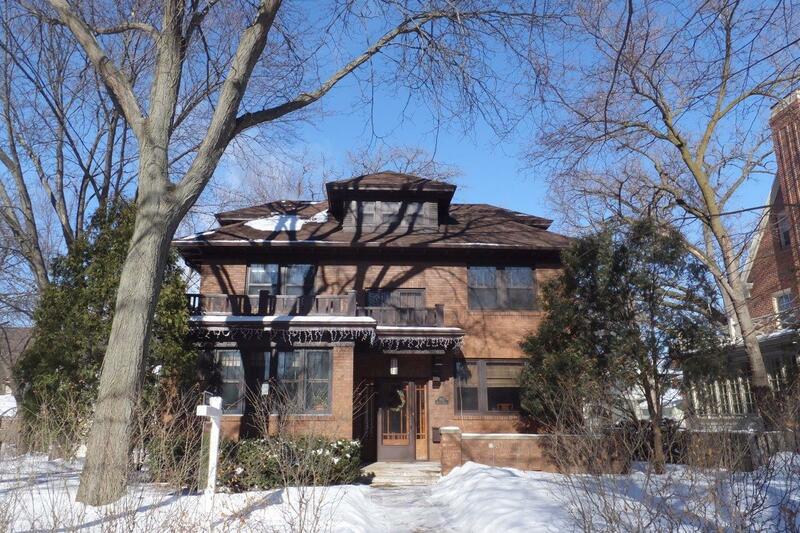 Considered to be one of the nicest, more affluent neighborhoods in the city, University Heights is named for its proximity to the University of Wisconsin campus, as well as Edgewood College. Architects such as Frank Lloyd Wright and Keck & Keck designed several of the houses in University Heights, so there is some beautiful architecture. Some of the houses have been turned into student housing, but most of them remain family homes. Home to some unique shops, galleries, and restaurants, as well as parks, schools, and bike paths, this area attracts professionals, families, and students alike. It is a lively place, especially on Badger football days due to its proximity to Camp Randall stadium.